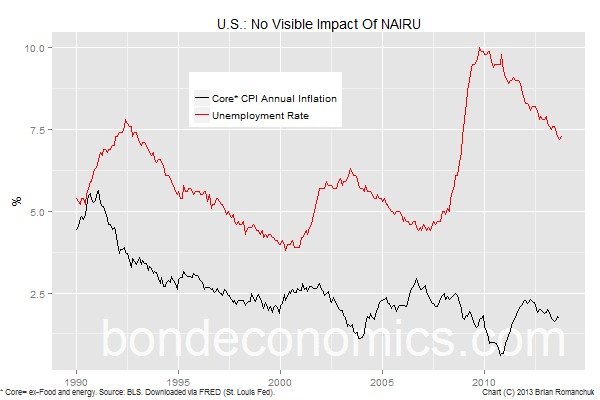 if the unemployment rate is below that level, inflation rises. Also, in "On the (ir)relevance of the money multiplier model: The Fed view", "circuit" of the Fictional Reserve Barking blog gives a good literature survey of the money multiplier. In summary: the Fed has not believed in the money multiplier for a long time, and it is a mystery why textbooks still refer to it.